Like many a good old red-blooded American, Tom Forster grew up in a family that loved football. Forster is just as much of a fan as his father and grandfather, but his interests trend a little more virtual than his family members’. He’s a longtime player of Madden NFL, an Electronic Arts (EA) video game franchise that’s been around since 1988. With Madden (named after Pro Football Hall of Fame coach and commentator John Madden), gamers use sophisticated playbooks to control an in-game version of a real-life team and its real-life current members. Players can compete against teams controlled by the game’s artificial intelligence or by another player. EA releases a new version of the game each year, with tweaks, updated features, and added players. Forster has been playing Madden for nearly a decade. He joined its fanbase back in 2010, when EA released a new game mode called Madden Ultimate Team. With it, players can build their own team from scratch, picking and choosing their favorites from across the NFL. The mode is Forster’s bread and butter, and it’s also what helped him build the audience for his YouTube channel YoBoy Pizza to more than 1.2 million subscribers. That audience brings Forster between 10 and 20 million views each and every month, which according to his team at Up North Management Group makes him YouTube’s top-watched Madden player. Something else that’s helped boost Forster’s subscriber count of late is his new series, NextOneUp, where he challenges athletes and celebrities to the Madden game of their choice. His guests so far include Baltimore Ravens quarterback Lamar Jackson, Charlotte Hornets forward Frank Kaminsky, San Francisco 49ers wide receiver Dante Pettis, Minnesota Vikings cornerback Xavier Rhodes, and Instagram comedian Shiggy. To celebrate hitting one million subscribers, Forster sat down with us to talk about the development of NextOneUp, what it’s like to be a full-time YouTuber, and where his channel’s going next. Tom Forster: It doesn’t even feel real to hit a milestone like that. I can’t thank everyone enough for all of the support over the past four years helping me get to this point. Having all of their support through all of the ups and downs has definitely helped me get to where I am right now. Tubefilter: Tell us a little about your background. Where are you from? How and when did you get into gaming, and when did you become a Madden fan? 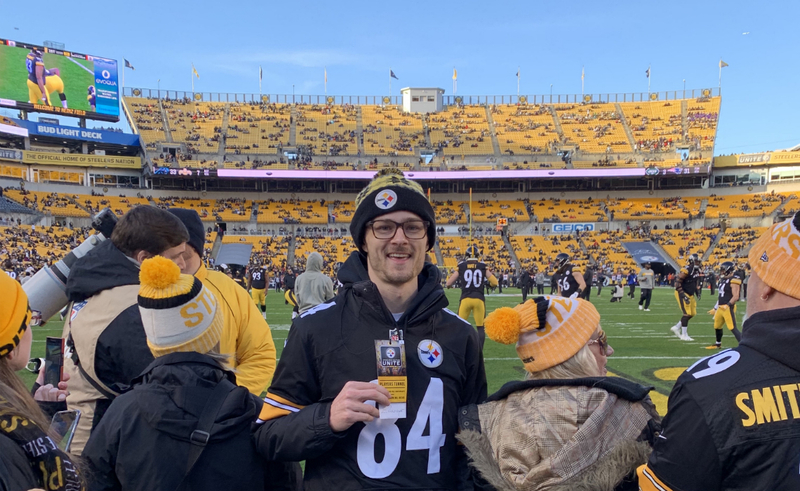 TF: I grew up in a Christian home in Pittsburgh, and have always been a huge football fan thanks to my dad and grandfather, who taught me a lot about football at a young age. I’ve always played Madden, but really became a fan around 2010, when Madden first came out with a new game mode: Madden Ultimate Team. I was hooked at the time; you couldn’t pay to get me off that game! Tubefilter: What made you choose YouTube as the place to share your content? 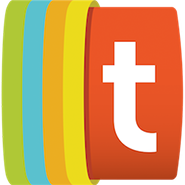 TF: At the time, I was super into watching YouTube videos. There just seemed to be something different about it, especially compared to watching TV. I think the biggest thing was that it seemed like you were able to have a better personal connection with the people who you followed. I really liked that concept. TF: I feel like I have a very creative mind and don’t mind putting in extra work to add small details that many people aren’t really willing to spend the time to do. Between that and coming up with different video ideas that people have never seen before, I feel like that definitely separates me from everyone else. Tubefilter: Your series NextOneUp is pretty awesome. How did you decide to do it? How do you pick the show’s guests? TF: Thank you very much; I have such a great time connecting with all of the different athletes and celebrities. Everyone has been really awesome, and it’s amazing to see all of their different personalities in person. The series definitely wouldn’t be possible without all of the hard work from my managers Cody Hock and Cole Hock (who run Up North Management Group), and my good friend Brett (TDBarrett), who does the series with me. As far as picking show guests, we’re always more than willing to have whoever wants to come on! Tubefilter: What’s your production process like? Do you have a set filming schedule? TF: I spend a lot of time every week preparing all of my videos I am due to post. Between recording, editing, and everything else, it is definitely a full-time job. Some weeks, I spend upwards of 60 hours just to get four videos up onto my channel. And as much as I love it, if YouTube wasn’t a full-time job, it would be near impossible for me to post videos as often as I am able to. Most of the time, I will edit one video per day from Monday to Thursday, and then on Friday and Saturday is when I will record all of my videos. Tubefilter: When did you start noticing your audience really picking up, and how did you grow that audience to become the No. 1 Madden player on YouTube? TF: My channel really started picking up about two years ago. This is when I was coming out with Madden videos that no one had ever thought of before. Those videos really seemed to pique a lot of interest, and from them, I finally felt like I made a mark for myself. TF: My favorite part is being able to look back at my old videos (especially the ones with my friends). Being able to see how much my videos improve every year, and putting in extra work to try to always one-up myself always motivates me. TF: I think the great thing about YouTube for me is that I don’t really have any specific plans. If you would have told me a few years ago that I would be invited to go to the Super Bowl and would have the chance to make videos with a bunch of great athletes, I would have thought you were crazy. I’m just going to keep making videos that I enjoy and we’ll see wherever it takes me. You can add yourself to the ranks of Forster’s more-than-a-million YouTube subscribers at his channel YouTube.com/YoBoyPIZZA.